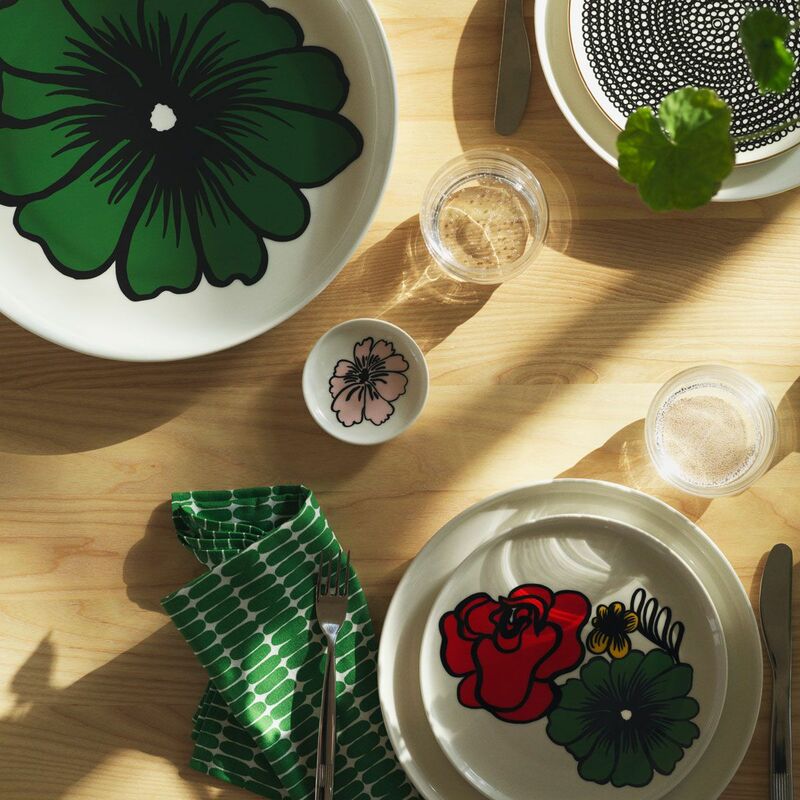 More about Marimekko Elakoon Elama Pink Mini Sauce Plate This design was made by Maija Louekari to celebrate her famous floral print called Siirtolapuutarha's 10 year anniversary. 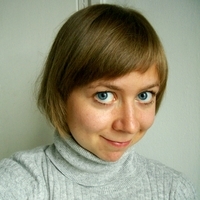 In Finnish, this pattern's name "Eläköön Elämä" means "Long Live Life." Bring exceptional beauty to those little moments you love in life, such as cooking or baking. This little lipped plate is perfect for portioning or serving spices, herbs, or sauces. 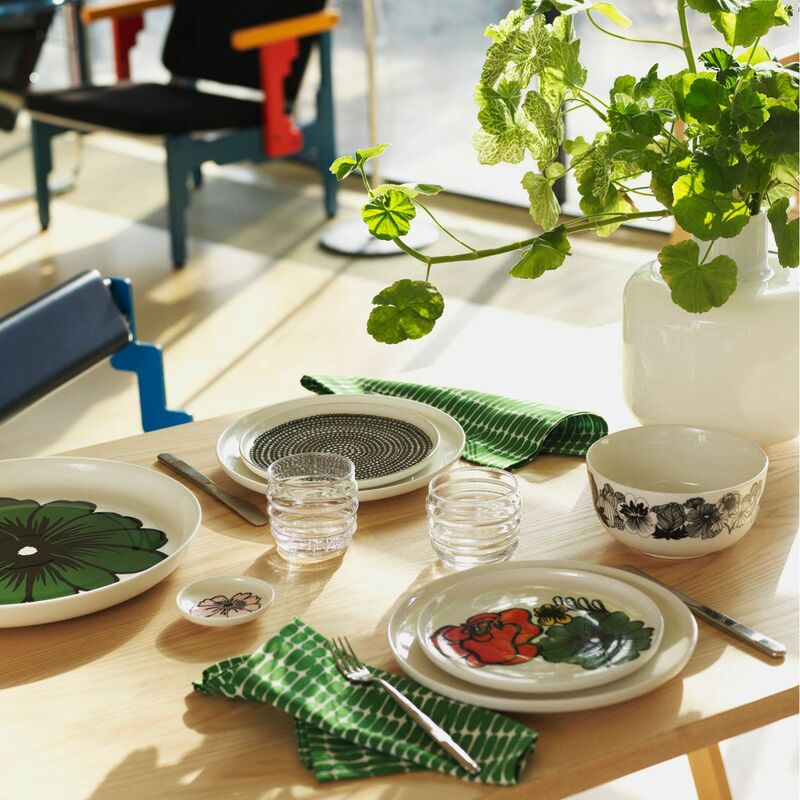 The white stoneware is conveniently microwave, freezer, oven, and dishwasher safe for everyday use. 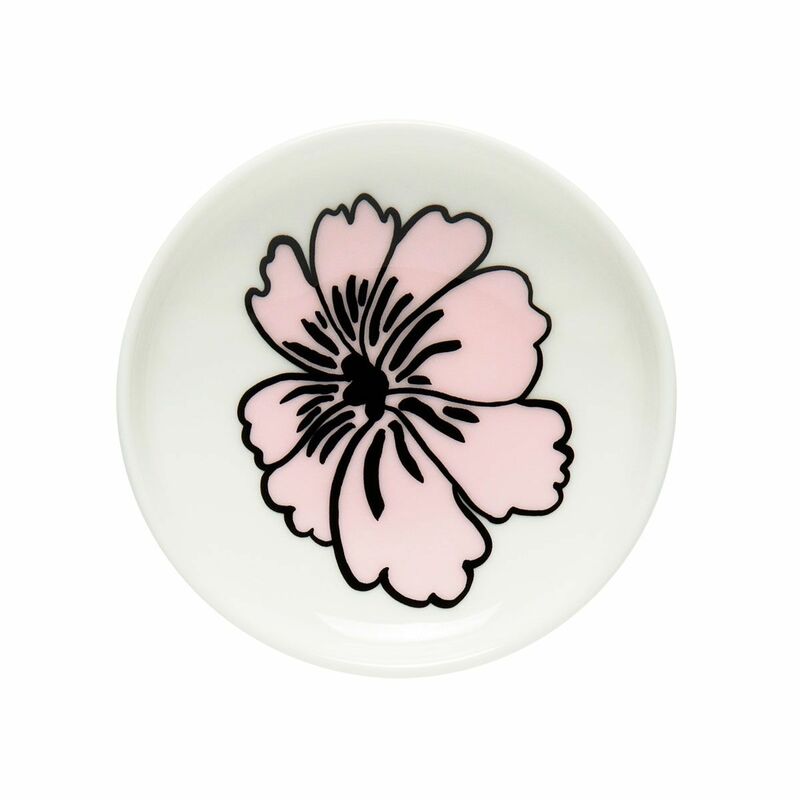 The petite dish has a pink flower on it which has a vintage feel, but is decidedly modern and timeless with its clean lines. It also would make a lovely ring or earring back holder on your dresser or vanity.